Otto Gaiser was born on 5 October 1919 at Reutlingen. Gaiser was posted to JG 51, based on the Eastern front, at the end of 1942. Unteroffizier Gaiser was assigned to 10./JG 51. 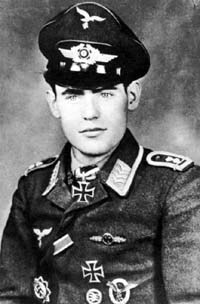 On 16 March 1943, Gaiser claimed his first victory when he shot down a Russian LaGG-3 fighter near Vyazma. He recorded his 10th victory on 11 July, when he claimed another LaGG-3 shot down. Gaiser claimed 17 victories in August, including five Russian Il-2 Sturmovik ground-attack aircraft shot down on 14 August to record his 24th through 28th victories. He claimed 14 victories in September, including five Russian Yak-1 fighters shot down on 26 September (38-42). In October, Gaiser claimed 10 victories, including his 50th victory on 8 October. He recorded his last four victories (63-66) on 15 January 1944. On 22 January 1944, Gaiser was last seen in aerial combat with four Russian Il-2 Sturmoviks near Berditschew in Bf 109 G-6 (W.Nr. 140 229). He has remained missing to this day. It is thought he became a victim of the Russian ground defences.  Gaiser was posthumously awarded the Ritterkreuz and received promotion to the rank of Leutnant. Otto Gaiser was credited with 66 victories in 380 missions. All his victories were recorded over the Eastern front and included 21 Il-2 Sturmoviks. In addition he claimed eight unconfirmed victories.